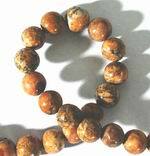 Sorry, we are currently sold out of 'Natural Jasper Flower 8mm Bead Strand'. Please check back later. 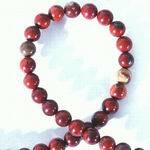 Sorry, we are currently sold out of 'Unusual 6mm Petrified Wood Bead Strand'. Please check back later. 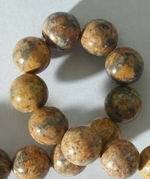 Sorry, we are currently sold out of 'Long Earthy Saturn Jasper Tube Beads'. Please check back later. Sorry, we are currently sold out of '3 Huge Larimar Blue Jasper Rectangle Beads'. Please check back later. 6 Saturn Jasper Carved Rectangle Beads - Unusual! 11 Square Frame Jasper Green & Black Beads - Unusual! Sorry, we are currently sold out of 'Gleaming Pink Zebra Jasper Oval Beads'. Please check back later. Sorry, we are currently sold out of 'Silver Leaf Jasper 8mm Bead Strand - brings contentment'. Please check back later. 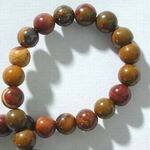 Unusual 12mm Carved Jasper - Long Bead Strand - Big & Heavy!